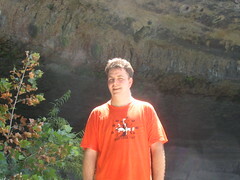 I wore my orange frayday t-shirt while swimming. Although a rabid swimmer, I still have not gotten a sunburn in the last 10 years (at least!). The secret: Lots of suntan lotion and wearing a t-shirt while swimming until 2:00Pm or 3:00 PM. Also during the same weekend I visited Prince Solm’s Park in New Braunfels and Barton Springs in Austin, Texas.